I love playing piano for the Homeschool Performing Arts group here, but this week we've had rehearsals every night, dress rehearsal Thursday night, and now shows on Friday night and two on Saturday. No wonder I'm exhausted! But you didn't come by to hear me whine about what's going on around here. 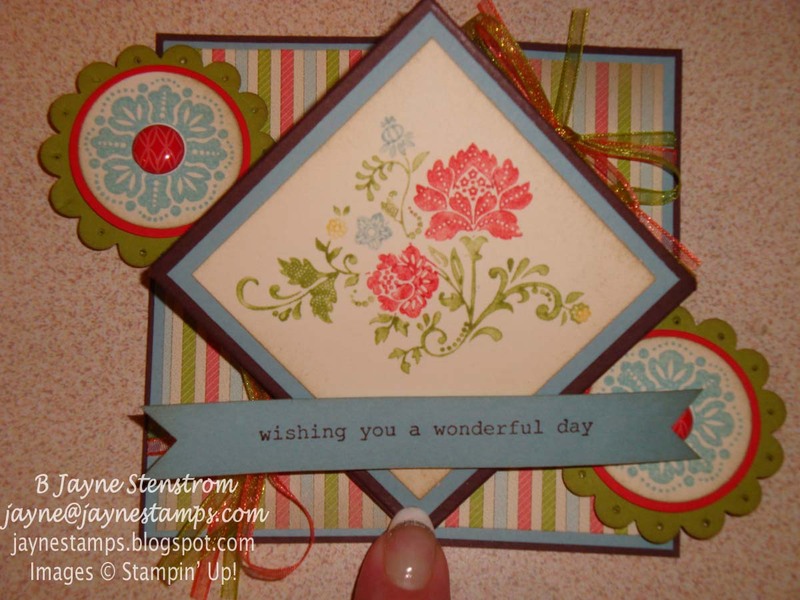 You came to see some stamping samples! 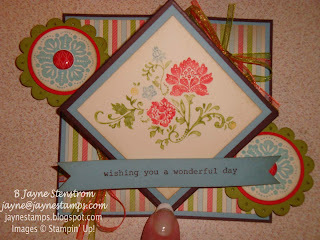 I don't want to disappoint, so I have a very cool card using the Fresh Vintage stamp set. Fresh Vintage is one of the new Sale-a-Bration stamp sets you can get for FREE with your $50 merchandise order now through March 31, 2012. 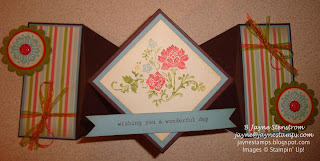 This card is also made with a cool fold called a "Diamond Fold". I've seen instructions in various places, but there is a very good tutorial on SplitCoastStampers with step-by-step instructions and pictures. 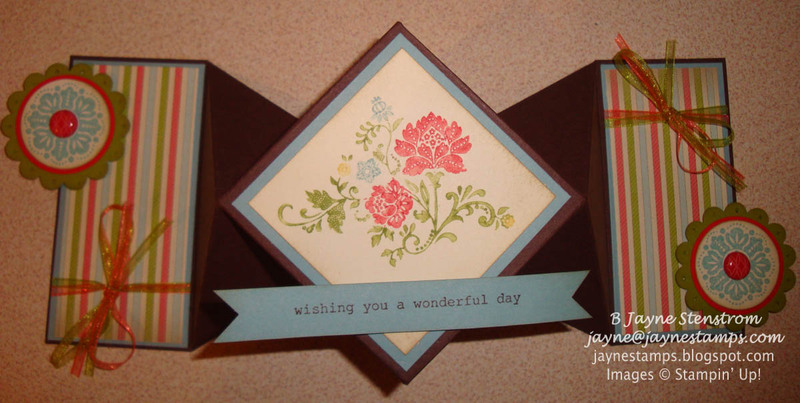 The first picture shows the card "closed" so it will fit into a standard A2 envelope. I used a lot of the new SAB items on this card - they all coordinate together so well! Don't you just love the Designer Series Paper? And the ribbon and brads are SO cute! I'm so thrilled with this year's Sale-a-Bration items! If you don't have a SAB catalog, let me know and I'll be happy to send one to you.